Located in Chicago’s Lincoln Park area, aliveOne combines the very best of music and spirits. Separated into two different rooms, the front bar offers a fully stocked bar and 16 different beers on tap, including some of the best microbrews Chicago and the country have to offer. aliveOne’s front bar is also home to Chicago’s only “all-live” juke box, containing live recordings of rock n’ roll’s best bands from the past and present. aliveOne’s back room, with it’s own fully stocked bar and 8 drafts, presents an alternative vibe and atmosphere to compliment the front bar. 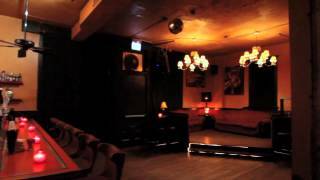 Known as the spot to see Chicago’s best up and coming bands (never a cover) or for all-out weekend dance parties, the back room is Lincoln Park’s best kept secret. aliveOne houses an extensive collection of live concert bootlegs on CD and analog tape, which are displayed in cases on the walls throughout the bar. The bar is also decorated with photographs and memorabilia spanning five decades, and as many musical genres. From the Allman Brothers to Zappa, there is something for everyone. aliveOne is available for all of your private party needs.